Democratic Rep. Chaka Fattah, two of his staff, two political consultants and two donors have been found guilty of 29 charges of bribery, money laundering, fraud and racketeering. The guilty verdicts came eight months after his son, Chaka Fattah, was found guilty on 22 of 23 fraud charges. The fifty-nine year-old Pennsylvania legislator faces sentencing in October. By midday, Rep. Fattah’s office did not post a statement about the guilty verdicts. He represents an African-American urban district in Philadelphia. 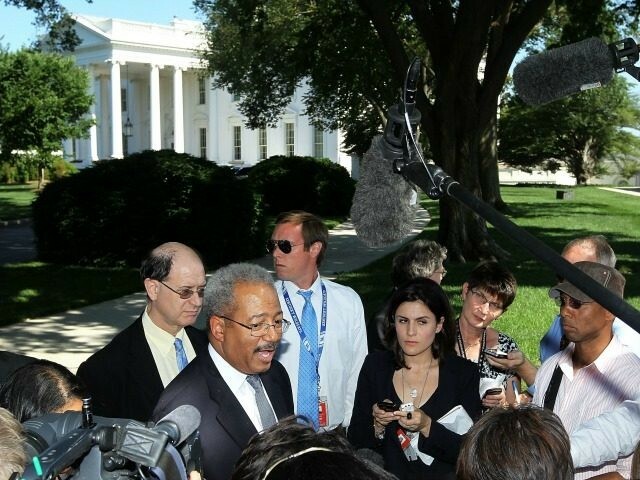 Media coverage downplayed Fattah’s Democratic affiliation. The AP report, for example, only mentioned his party membership in the third paragraph. 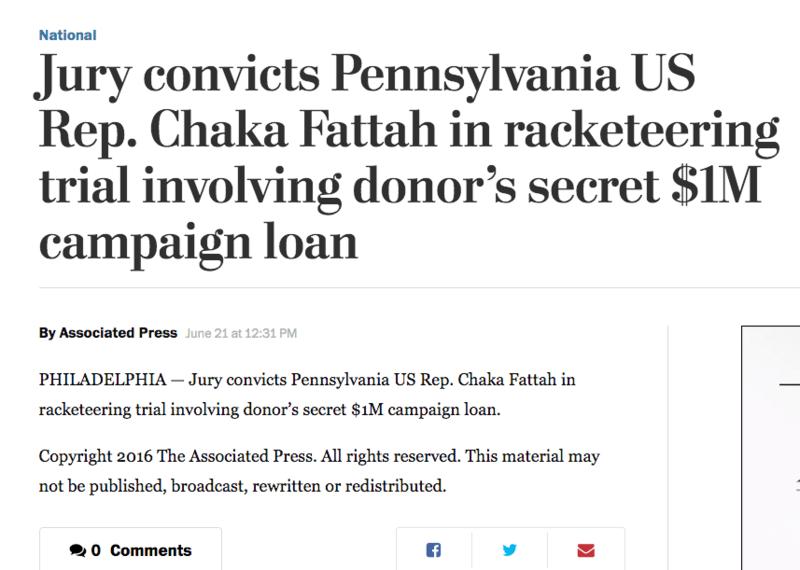 A brief item in the Washington Post did not mention Fattah’s party affiliation.